The UAE Red Crescent Carries Out a Spray Campaign to Combat Mosquitoes. Wed. , April 02, 2019. Rebounds. The UAE Red Crescent has carried out a campaign to control mosquitoes that transmit malaria to all districts and villages belonging to the Directorate of Tahita. Large support provided by the United Arab Emirates and the UAE Red Crescent Authority has covered all aspects of life. The Commission carried out a campaign to spray mosquito control in Al-Tahta district in Hodeidah Governorate. The campaign was launched from the Directorate of Tahita by field clearance of the fog spray teams to the residential districts in the Directorate. The campaign lasts for three days and includes all the residential neighborhoods and villages in Tahita. The campaign is supported by the UAE Red Crescent Society and is the first in the Directorate to control mosquitoes that cause the transmission of malaria to citizens, which multiply in ponds, marshes, lanes and alleys in the Directorate. 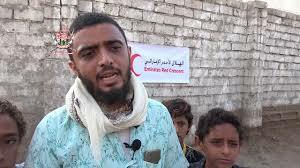 The people of Tahita expressed their thanks and gratitude to the UAE for all its efforts in Yemen and for the assistance provided by the UAE Red Crescent to the son of Tahita.